Finding it Difficult to Tell Your Financial Story? Everyone loves a good book or movie with an interesting storyline, and most of us are delighted when the story ends on an uplifting and high note. During the course of a story the main character will experience times of trials and tribulation—whether it’s a love story, drama, or action thriller– but in the end thru the help of friends or the action hero the main character gets to a happy place. Your business has a financial story. The main character in the story is you, its owner. Guess who the author is? Yep, you again. Where do those who are interested find your financial story? Amazon? Barnes and Noble? Google it? Your company’s story is found within your company’s financial statements. Your Balance Sheet, Income Statement, Statement of Cash Flows and where needed, Footnotes to the financial statements. This is where those associated with your company want to go find how the main character is getting along. And believe it or not, they really do care how you are doing, because they are relying on your success as they have a relationship in one form or another with YOU. As a business owner are you finding it tough to tell or explain what is going on with your business to your lender, to key vendors and to key customers? Are your company’s financials in good order and meet GAAP standards, and are you producing them each month in a timely manner? Or are they in a state that you the owner cannot explain what the numbers are indicating? Or you can’t for whatever reason produce them. 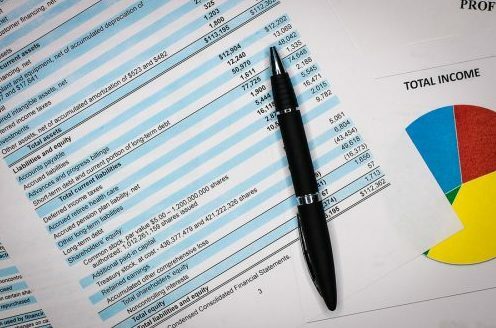 Having sound financial statements is a key to success in any business. Relationship partners will have more confidence in you and your business when they know the financial information you give them is accurate, properly prepared, and ON TIME. As important these financial statements are a tool for you to use to properly manage your business. Having trouble writing or getting your story published? Do you need assistance within your accounting and finance department to produce your financial statements? Do you need assistance in explaining your company’s results to your lender(s) or others? If so, please give us a call at (503) 753-5998 or email us at clouser@clouseronbusiness.com. Your financial statements should tell a story that people are excited to hear about. Let us help you tell your story, so you can get it into the hands of those wanting to read it.